Our cars are vital objects in our lives. They solves many of our daily needs and they operate effectively as long as you give them appropriate maintenance and care. Discarding their value would be hysterical considering the amount of money someone pays to own one. A great advice is to take your car as any other member of your family that cannot be easily replaced unless you have enough money to do so. How important is your car to you? Know that your vehicle helps you complete your most demanded daily activities such as work, school, or even leisure. Of course, having the right auto insurance and following defensive driving techniques is a way of showing affection to your vehicle, but is that really enough? What about protecting your car from vandalism? The chance of becoming a victim of car vandalism depends upon your own initiative to keep your car far from criminals. Even though many cases of car vandalism were connected to accidents, vandalism is strategic by nature. 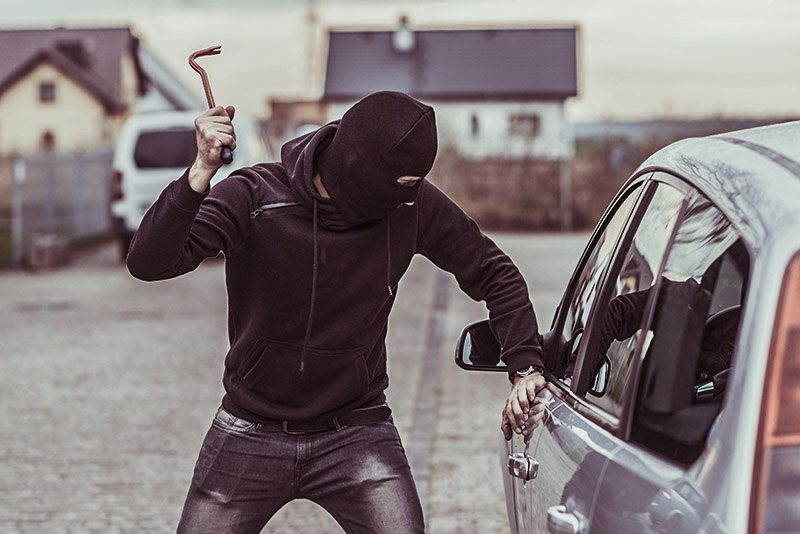 According to the CNN, personal items stolen from vehicles round to $1,255 each year, which raises the question: what can we do to prevent vehicle vandalism? Here you’ll learn how to avoid car vandalism in 6 easy steps. Always try to clean your vehicle clean and free of clutter. Believe it or not, potential thieves walk around park areas looking through windows to see if there’s anything worth stealing. If your car has valuable stuff, say devices or even clothes, a conspiring thieve would fine a way to have access to them in ways that you probably couldn’t think of. Ensure items are covered and hidden out of sight. Cautious car owners take valuable items with them after parking. Strategic parking is key to avoid calling the attention of conspiring thieves. Parking strategically means covering gaps and being observant, especially when your vehicle is new or popular. That said, park your car in a visible, well-lighted areas. The more visible your car is, the better! Never park on dark and hidden areas, otherwise you’ll become an easy target, giving robbers an opportunity to break into your car. This is a simple advice but you should take it as a norm. Keeping a car unlocked is like water in the desert for most thieves, and you must find ways to protect yourself from making those mistakes. In fact, about 1/4 of vehicles in a public parking area are left open, which is enough reason to be more cautious about it. So, make sure your car is always locked, even when you park in your own garage. Thieves get more sophisticated with time. Before picking a parking spot, check for cameras around and park near them to let them watch it for you. If someone is daring enough to vandalize your vehicle, recorded security footage will work on your advantage by tracking the person who committed the crime. Cameras are helpful tools that you could always rely on for your own safety. Protect your car from any unscrupulous person who tries to vandalize your car by upgrading your car security features. Simple things such as a security decal can keep a vandal away from your car. If your budget gives room for additional expenses, install an alarm system that could alleviate the threat of vandalism. Whether you cannot find a parking spot out in public roads, consider paying for parking valets for your own security. They are a safe choice considering that roads are even more crowded than ever. When it comes to protection, not only are parking valets required to protect your vehicle, the lots are also monitored by members of the staff and always-on security cameras. Are Americans Particularly Afraid Of Self-Driving Vehicles? This is an interesting topic, especially because I never really worry about my car being vandalized. However, I bet once it happened one time then I would be terrified. I especially like the idea of having your car valet parked. I wonder how much insurance valet companies have for vandalism, that would be a good question to ask. Hello Kirk. Going through this experience is tough but once you follow these tips you could reduce the chance of becoming a victim. Have you considered on checking your policy? If you have the right policy, you could be protected from this kind of misfortune.